Welcome to HideIPVPN. 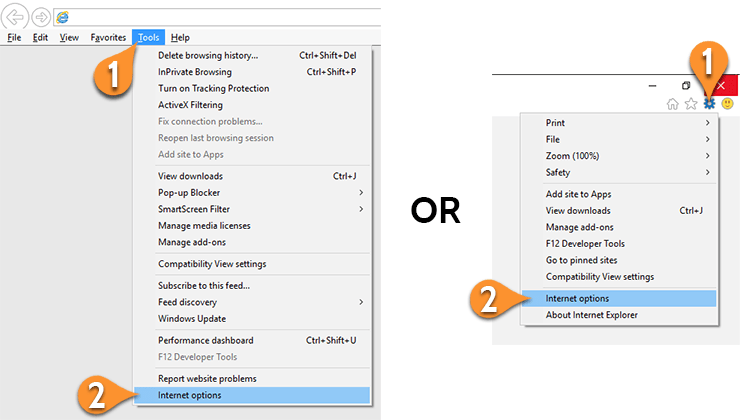 This tutorial post shows how to setup proxy on Internet Explorer (all versions). 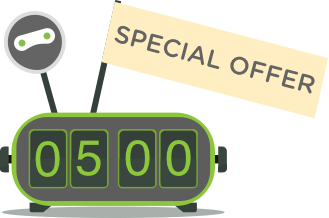 Before starting, if you don’t have a VPN account you must get it – Get FREE VPN trial account! It’s pretty easy to setup proxy on Internet Explorer. 2. In opened window, please choose “Connections” tab (3). 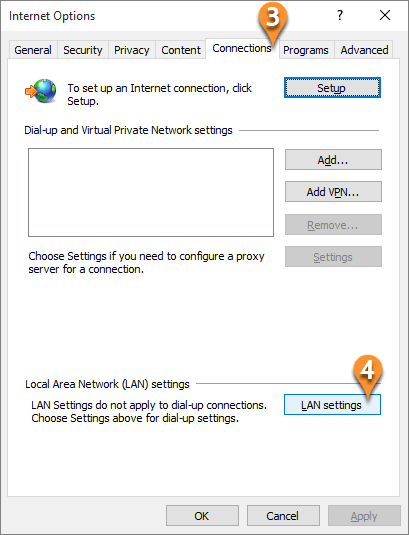 Then press on “LAN settings” (4). When you will try to access a website you will be prompted to enter your username and password. Enter the same username and password that you use to connect by VPN. Now you’re done! 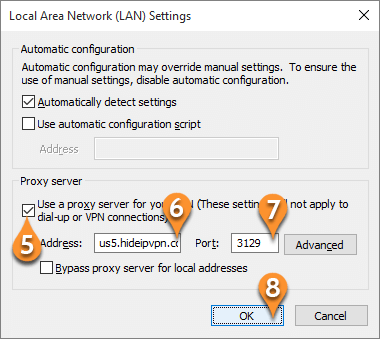 Enjoy proxy on Internet Explorer with HideIPVPN.